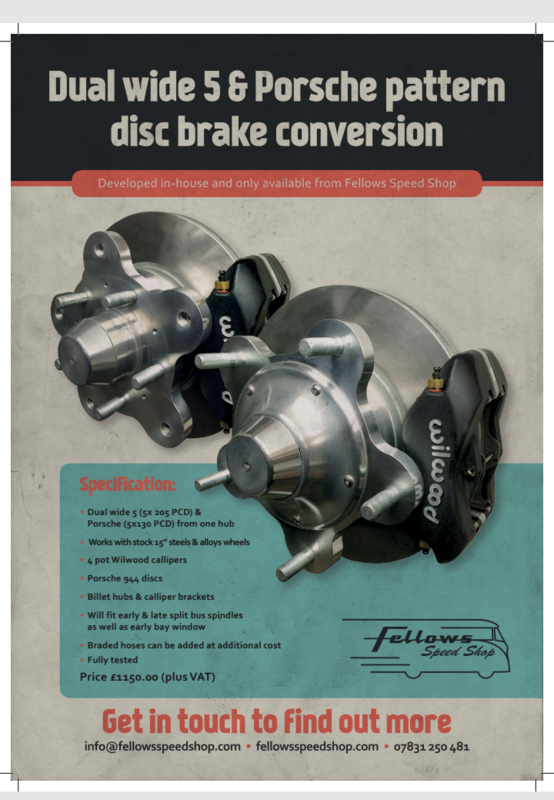 Are you running Steels or Alloys and is your bus early or late Bay and early or late split dropped spindles..? Dave Hall has resigned as Director of Fellows Speed Shop from May 2015. 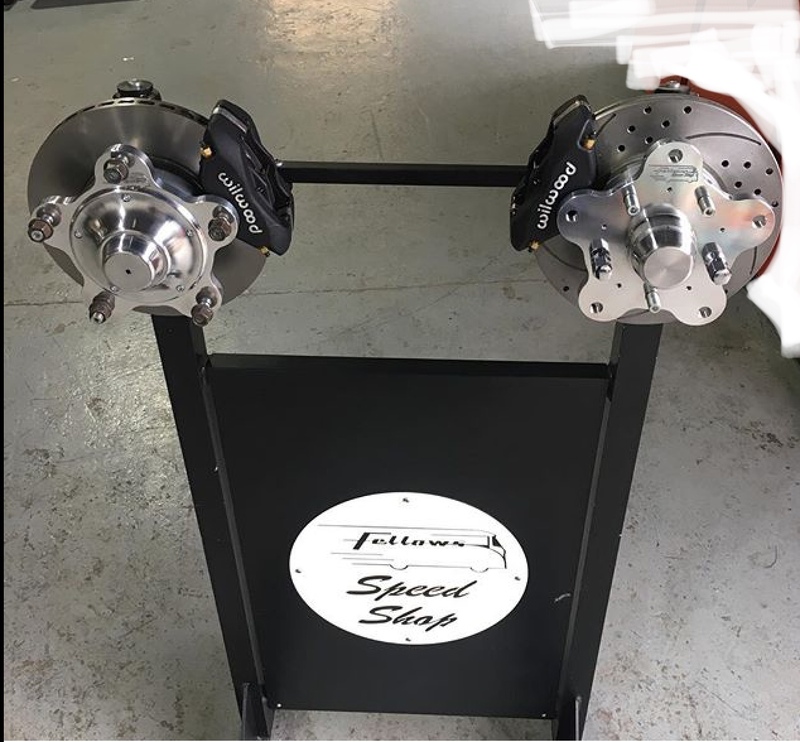 Fellows Speed Shop appreciate his time and effort in his first few years helping run the business whilst Perry was able to constantly improve our new products – the Brake Disc conversion and Steering Conversion. 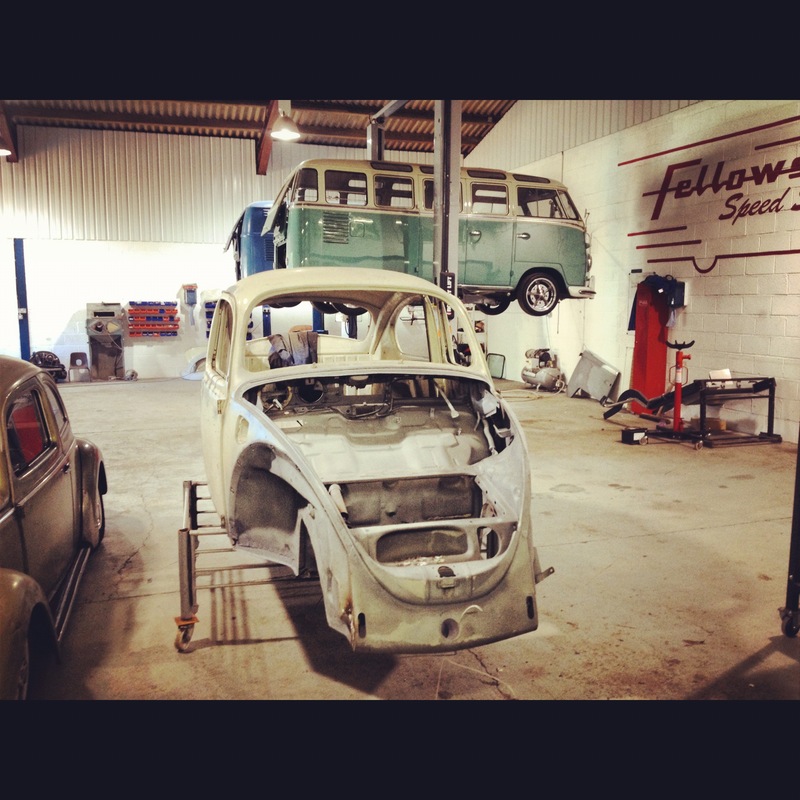 He has a busy year working on his Photography and other VW projects including his new Barndoor on its way over from USA. Good luck Dave with your new projects. 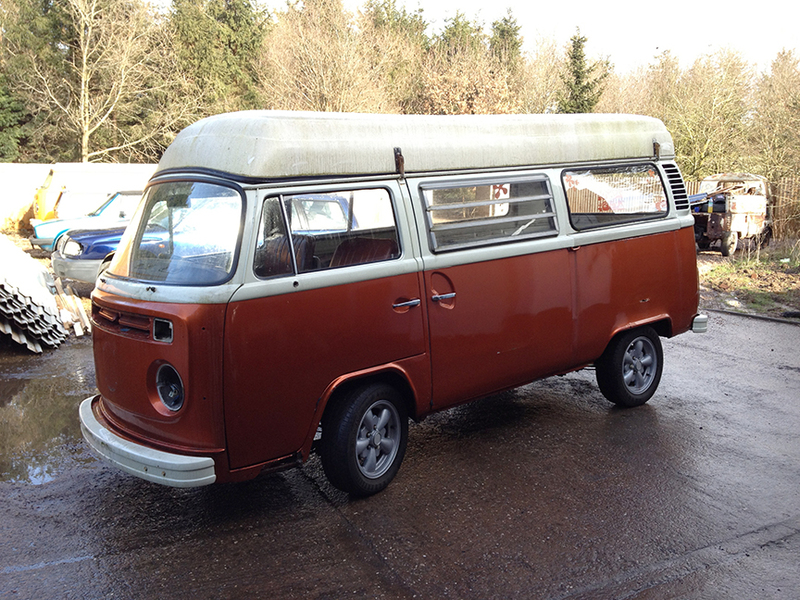 Staff Cars – Ben’s collection…..
Ben is lucky enough to have a few VW’s, first off a 69 bug project. It used to be his daily driver but was taken off the road for a full resto and as is often the case when you work on other peoples cars for a living your own projects get pushed back to the bottom of the pile. 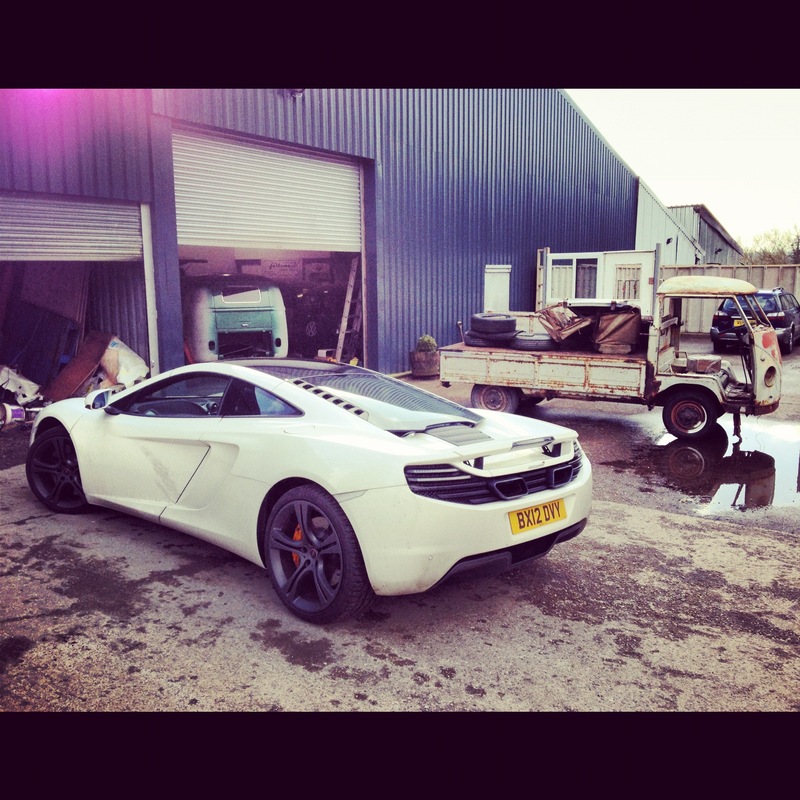 Hopefully 2013 will see it return to the road. 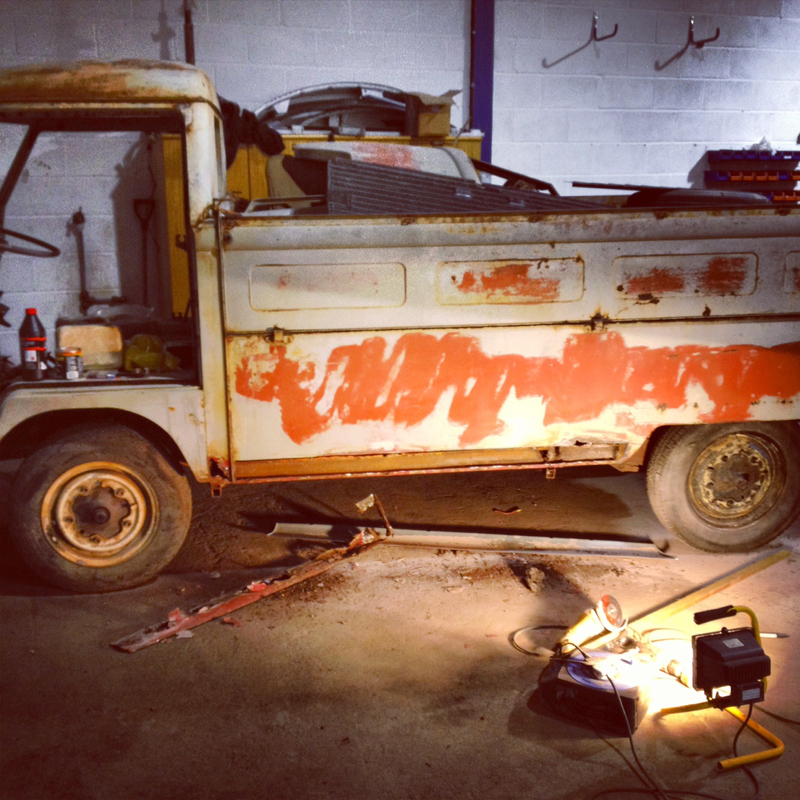 After finishing prep for Dubfreeze on Sunday he found a little time to start fixing some of the many rust issues! Todays challenge the sills! More updates on more progress soon! 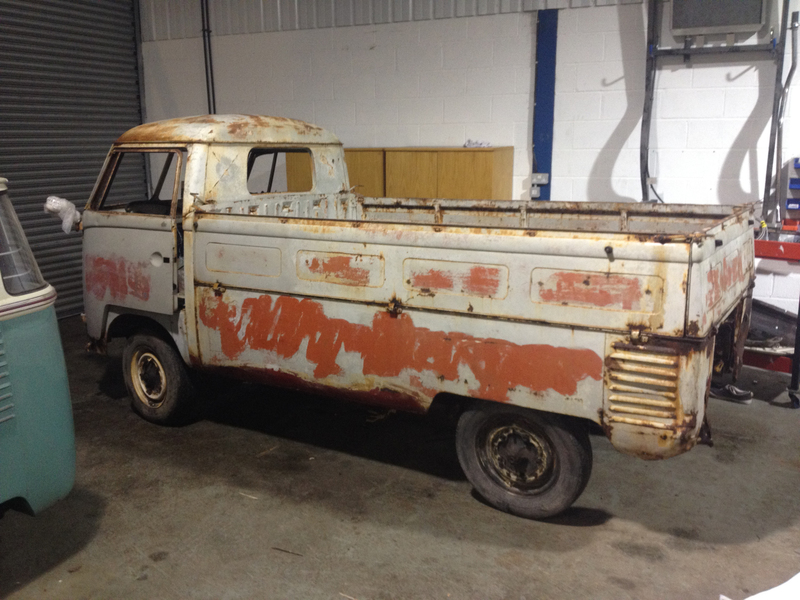 Posted in Staff Projects, Uncategorized | Comments Off on Staff Cars – Ben’s collection…..
Gary’s bay is in for a freshen up, sort out a few spots of rust here and there and then a full respray. 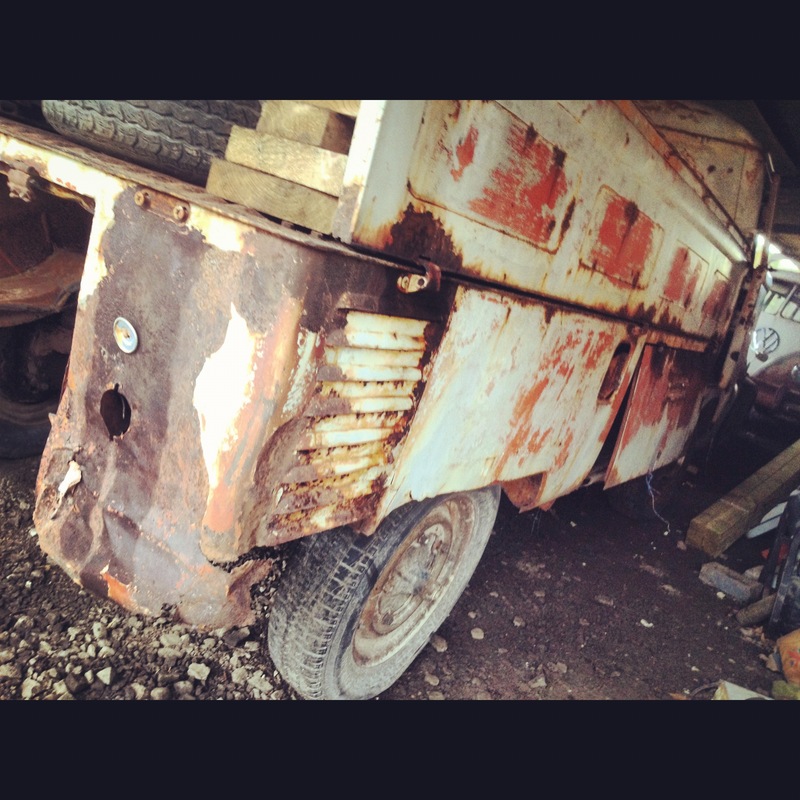 On first inspection a fairly sound UK bay, a few issues in the usual places, battery tray, cab floors etc etc. worryingly as we delve a little deeper nasty bits start to appear!! 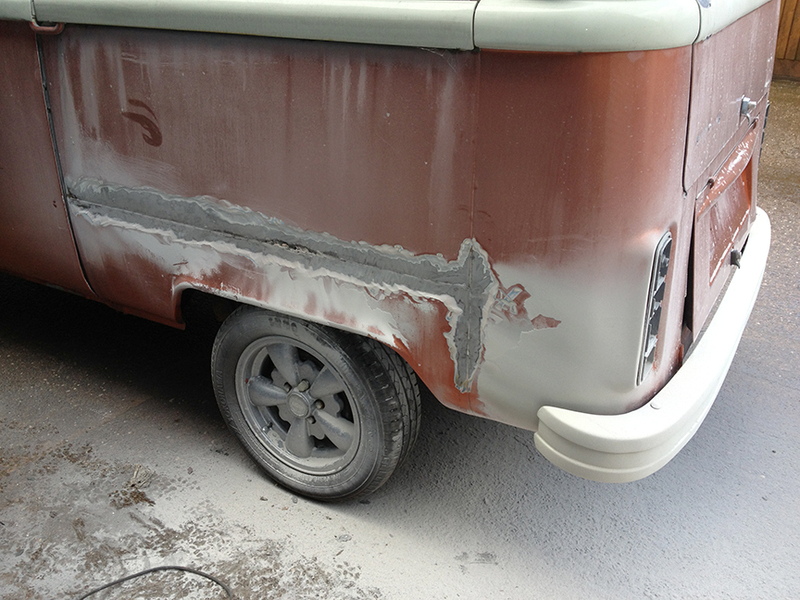 Lurking behind a large amount of filler was the original panel! 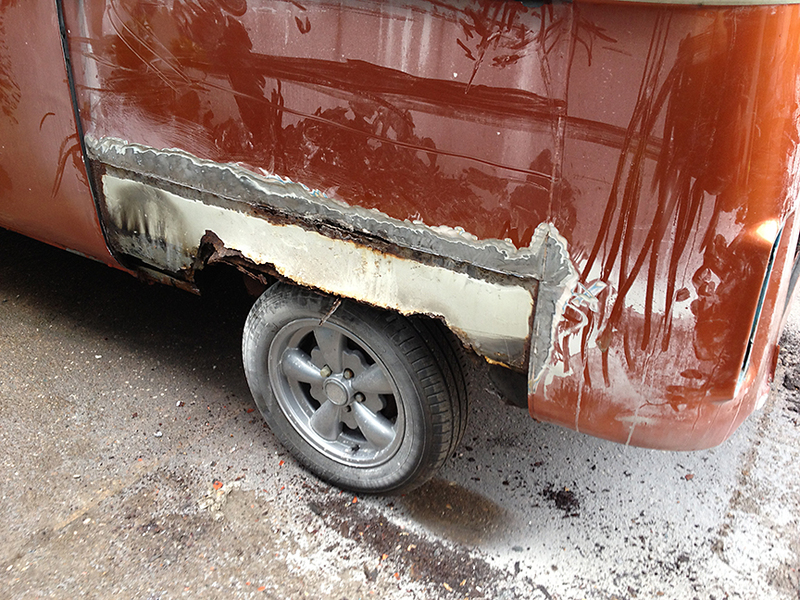 A previous owner/body shop has put the repair panel directly on top of the original rusty metal!! Thinking of buying a bus? Be careful! Gary’s looked pretty solid at a quick glance!